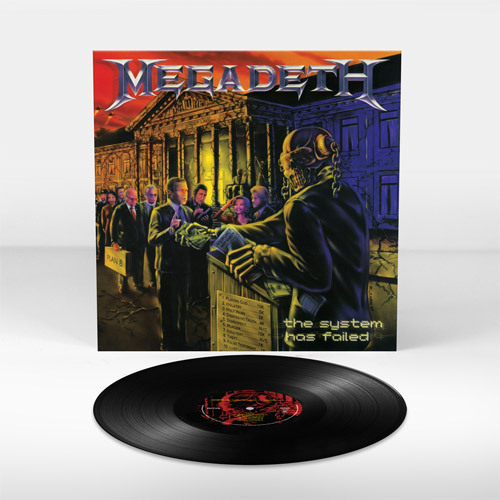 View Larger Pre-Order The System Has Failed vinyl US thrash metal titans, Megadeth released their tenth studio album "The System Has Failed" in September 2004. Following the direction set by its predecessor "The World Needs A Hero" it headed further into the bands thrashier past and was a hit amongst fans and critics alike. Debuting at number 18 on the Billboard charts, the album received positive reviews across the board stating it as vital and solid. The full album has been newly remastered by Ted Jensen (Guns N"Roses, Mastodon, Trivium & Machine Head). Includes rare live bonus tracks "Time/Use The Man" and "Conjuring" on the CD and digital versions. Back on vinyl for the first time in 15 years.